Ordinary fertilizers shouldn’t be applied beside or close to the seeds during this period, because they can damage seeds. On the other side, until leaves don’t reach the particular size, application of foliar fertilizers is also not possible. Novalon Seed Treatment fertilizer makes it possible to use these key nutrients with seeds together at this important stage. 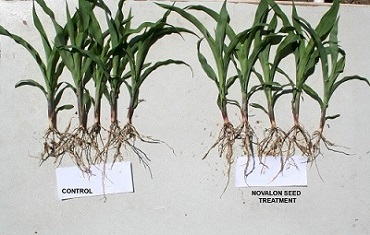 With the Novalon Seed Treatment, seeds can use their genetic potential more efficiently. R&D of Novalon Seed Treatment showed that it can be used safely on seeds and at the same time young plants obtained from applied seeds have more nutrient levels than plant seeds didn’t applied. The raw materials purity used in Novalon Seed Treatment is high and chosen with detailed researches. If recommended application is done, no damage, negative effects etc. can be observed on applied seeds even waited for months. Novalon Seed Treatment can be applied easily by seed companies and farmers. 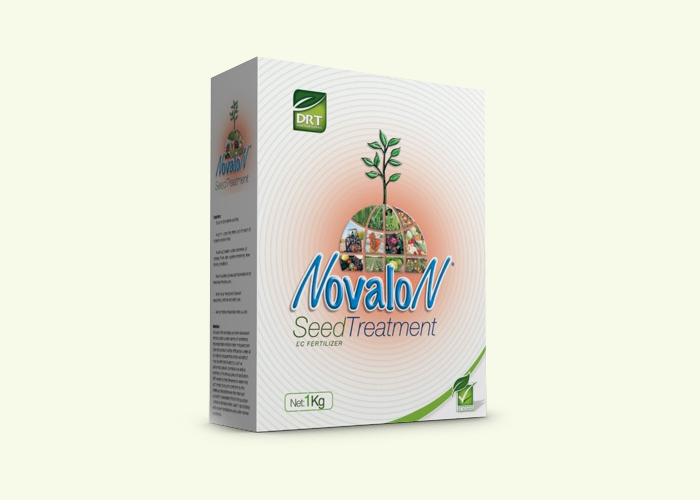 Novalon Seed Treatment application helps plant to reach additional nutrients during early growth stages of plant and with the special additives inside it also helps germination of the seeds. With Novalon Seed Treatment a vigorous early development provided. Its effect easily noticeable even visually, especially in poor soils. On the other side nutrients applied only from Novalon Seed Treatment can’t be enough for plant general development. 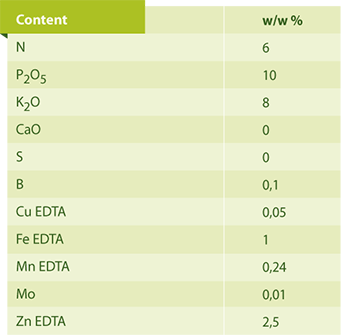 Nutrition uptake of plants from 1 hectare can vary according to plant type and reach kilograms of fertilizers. 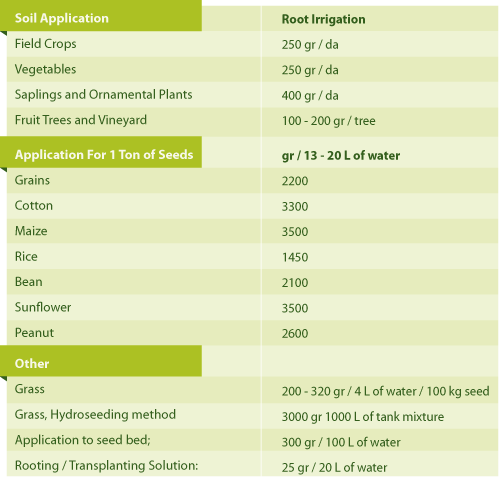 So additional fertilization should be continue with tillage and proper irrigation method during life cycle of plant. Novalon Seed Treatment is an important part of the successful fertilization schedules. 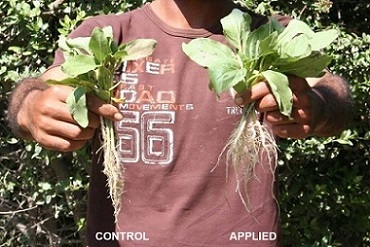 Novalon Seed Treatment can be applied on sowing, seedling transplanting or with irrigation water. It is soluble in the water and can be absorbed by plants easily. When product is not used as a seed treatment, it can be used against stress conditions during further growth periods for increase resistance with its rich content. It also helps rooting. Novalon Seed Treatment Brochure Download click here!